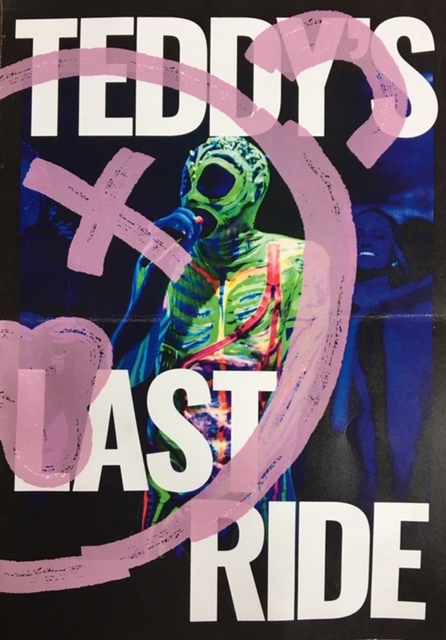 Teddy’s Last Ride, an ex-dance company turned performing arts collective. Completely lost in all social-political discussions. Too incompetent and too (sexually) frustrated to take a stand for anything. A pack of international, multi dysfunctional misfits in their 20’s. The all dancing, all singing scum of the earth. A tempest in a teapot really, mostly harmless. A product of the self-centered, unicorn-loving, millennialist de-generation. Strong belief in the fact that we are special and chosen. Anti capitalist on the outside, ‘let’s get lunch at Albert-Heijn’ on the inside. Strong concerns about this complex, beautifully flawed and unequal world. One of us is actually vegan, the rest of us just pretend to disagree with the bioindustry. It’s all fake news, so are we.